LAKE CHARLES, La. (AP) — Malik Metoyer drove for a game-winning layup in the waning seconds to give Northwestern State a 74-72 win over McNeese on Saturday. McNeese’s James Harvey had just tied the game at 72-72 by hitting three straight free throws. Metoyer drove the baseline and hit the winning bucket with 17 seconds remaining. Ishmael Lane blocked a Jarren Greenwood layup to keep Northwestern State in front. The Cowboys had one last shot but Harvey’s 3-point attempt was just short at the buzzer. 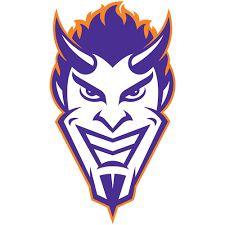 DeAndre Love led the Demons (9-15, 4-7 Southland Conference) with 24 points. Lane had 17 points, 12 rebounds and three blocks for the Demons. He also committed eight turnovers. Metoyer added 10 points.